Who’s the Dude? 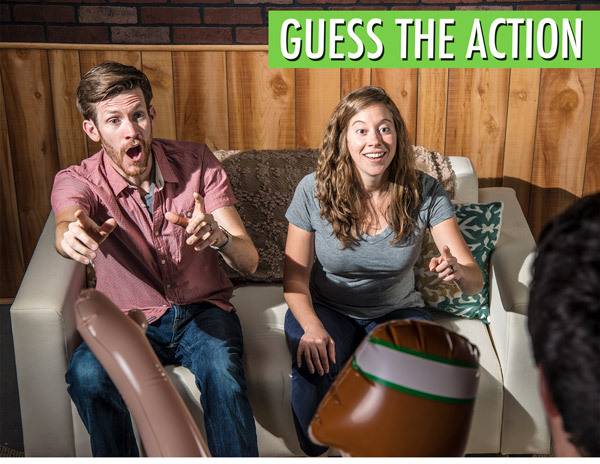 : Act out charades with a blow-up buddy. Invite a new friend to your next game night—one that you won’t be able to keep your hands off of. Who’s the Dude? 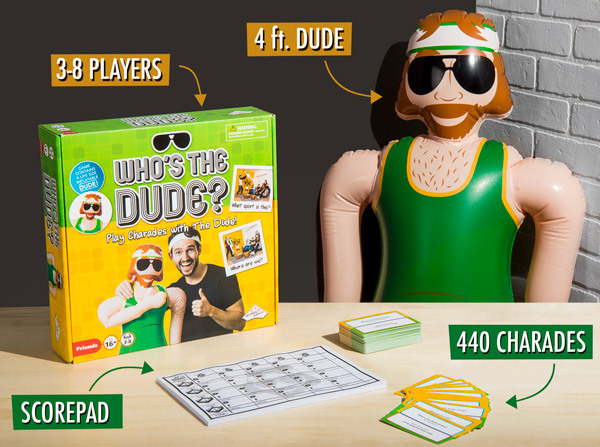 is a charades game where you act out clues using the Dude, a life-sized inflatable teammate! 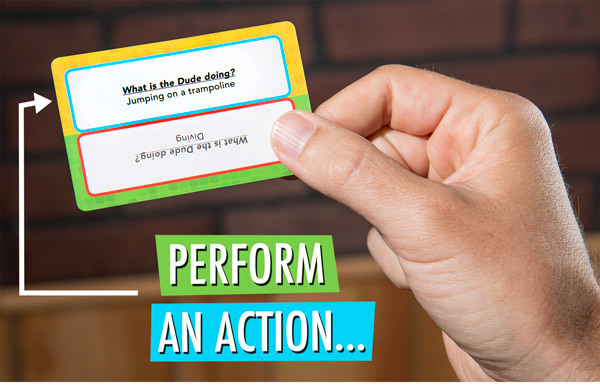 Manipulate the blow-up man's air-filled limbs to act out the clues on the cards. It's a little weird and a lot of fun! Your guests won’t stop laughing during this unique version of charades, and the Dude is sure to be the life of the party. An existential question for the ages: who's The Dude? The Dude is made to look like the kind of guy that would be fun to have at a party...and he is! Manipulating the blow-up man for charades can turn an innocuous clue into a hilariously awkward experience. While making him do the backstroke is pretty straightforward, acting out “mouth-to-mouth” is where things start to get interesting. No matter what cards you get, you and your guests will be sure to have a great time playing. Just channel Weekend at Bernie’s. As an adaptation of the most classic party game of all time, Who’s the Dude? is easy to pick up. Like regular charades, you draw a card and try to get the group to guess it without using words. But instead of using your own body, in this version you have to express yourself through the Dude. With only 45 seconds to get through as many cards as possible, you’ll find yourself frantically puppeteering your new friend to rack up points. 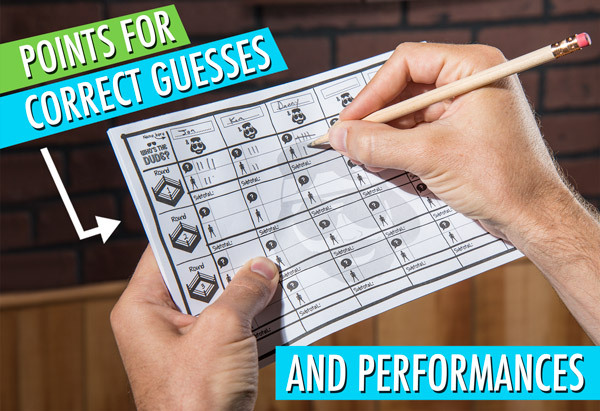 You can score with a correct guess too, so you’ll want to be on your toes even when you’re not performing. Game night is about to blow up. Who’s the Dude? includes over 440 charades in categories like “what sport is this?”, “what dance is the Dude doing?”, and “what song is the Dude acting out?”. 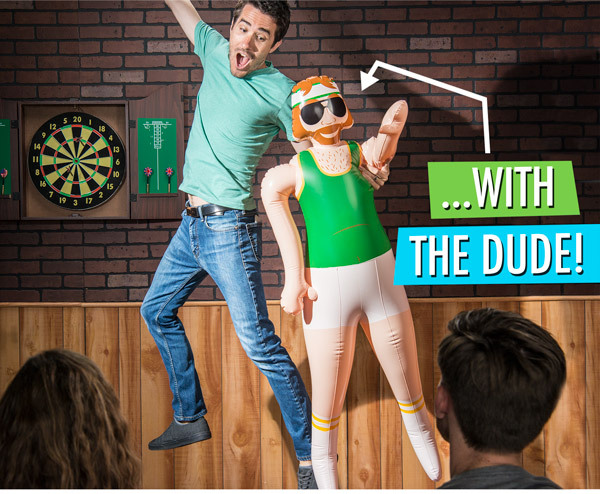 The life-sized Dude can be easily inflated with your lungs and measures nearly five feet tall. Make sure to download the free app to use the official Who’s the Dude? digital stopwatch and take a selfie with the Dude after the game. 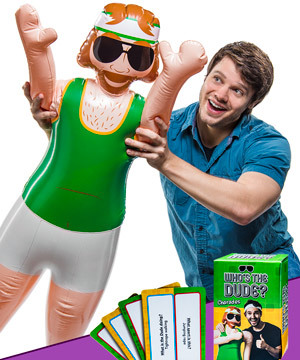 After picture time, deflate and pack up the Dude to await your next game night. Question: Am I going to pop that thing? Answer: The Dude survived our testing without a problem, but extreme use could result in a puncture. Please note that the set includes a self-adhesive one-time repair patch. Question: Is this game inappropriate? Answer: The manufacturer recommends Who’s the Dude? for ages 16 and up. The cards themselves aren’t inappropriate, but some folks may find using the blow-up man a little suggestive. Overall, the game is intended to be more silly and awkward than anything else.